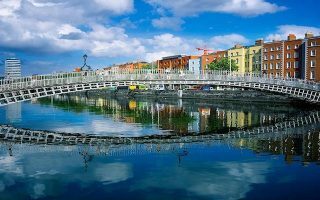 Dublin, Ireland is a wonderful city to visit, with its historic sites, literary bent, and wonderful pubs and restaurants. It’s also a great city for runners. Since Dublin is so compact, many of the iconic runs are easily accessible from the center city. 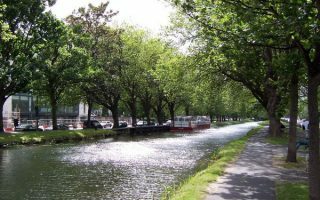 Highlights include Phoenix Park, and some nice runs along the River Liffey and the canal towpaths. 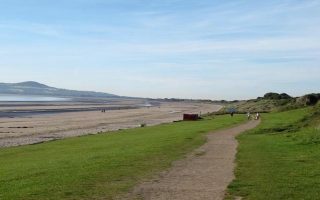 There is also some wonderful seaside running just north of Dublin, toward Clontarf and Howth, around Howth, and in Malahide. 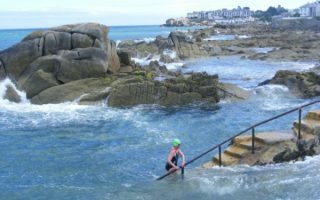 South of Dublin, within 1/2 hour by train or car, are lovely waterside runs in Dún Laoghaire and a fabulous path from Bray to Greystones. There’s not much running of note near the airport (10 miles from city center), but if you have a car, it’s only 10km to Malahide and 16km to Howth. Dublin does not have a subway, but it has a fairly extensive bus and tram system, and some rail lines toward the suburbs. The DART is a nice train along Dublin Bay, heading both north and south, providing easy access to some great running spots. 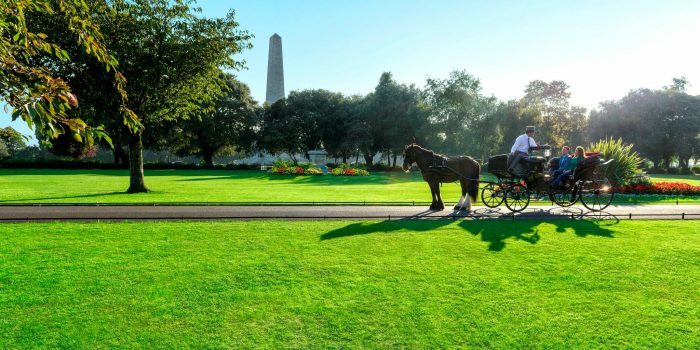 At 1,750 acres, Phoenix Park is one of the largest walled parks in Europe. The signature green space to run in Dublin, a wonderful mix of fields, tree-lined paths, and interesting sites. The largest park in central Dublin and one of three Georgian garden squares designed by William Shepard.Beautifully designed, with a lovely wide perimeter path perfect for runners, and ten statues. 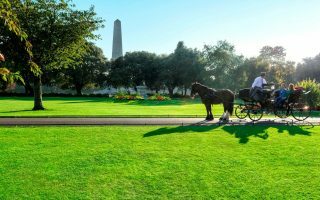 This route runs from Dublin’s Docklands to Phoenix Park. Landmarks include Famine Memorial, Ha’penny Bridge, Parliament, Temple Bar, National Museum, and the Court of Justice. 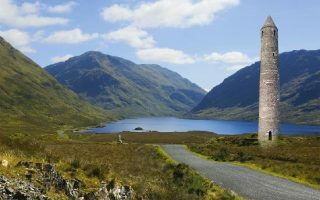 A 144 km waymarked long-distance trail that follows the towpath of the canal from Ashtown, Dublin to Cloondara, County Longford. Run some sections and return to your starting point by public transport. 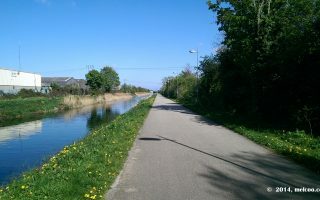 The Grand Canal path runs for 80 miles from the Grand Canal Basin to Shannon Harbor. You can run anywhere along the canal. We've mapped out a 5.5 mile route from Grand Canal Docklands to the M50. 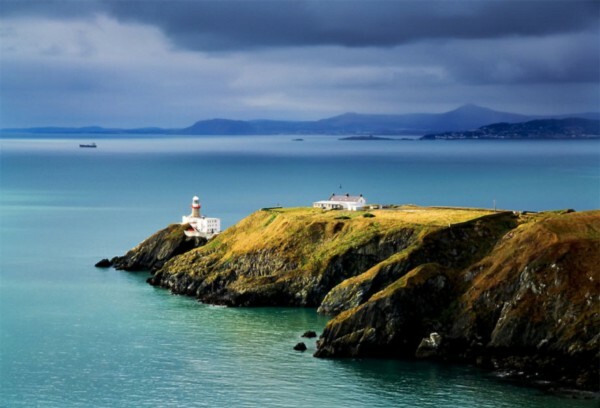 A peninsula northeast of Dublin that makes a wonderful destination for runners. With cliffs, summits, and interesting sites, there are great trails and roads. Hilly! 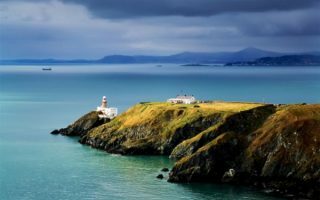 A wonderful seaside running opportunity not far from Dublin. There are water views the whole way, and a seaside walkway/dedicated path for some of it. Can be windy. A great opportunity to do a long seaside run. Run along the lovely long beach or continue on the coast road into Pontmarnock with good views of the water. 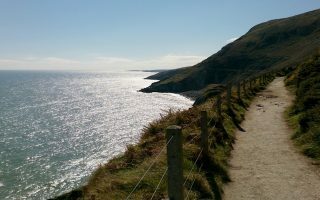 Aspectacular coastal run/walk near Dublin. It’s a modestly hilly 5.1 miles one-way from Bray to Greystones, nearly all of it right along the water or just above. Gorgeous glacial valley with buildings dating back to the 10th century. Many wonderful road and trail running opportunities, including a fantastic ~15K loop. 50 km south of Dublin. Looking for some fun and friendly competition? 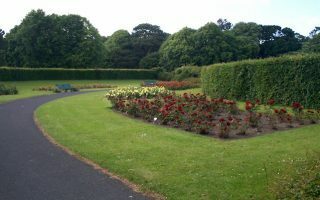 Dublin hosts a selection of Parkruns throughout the city. 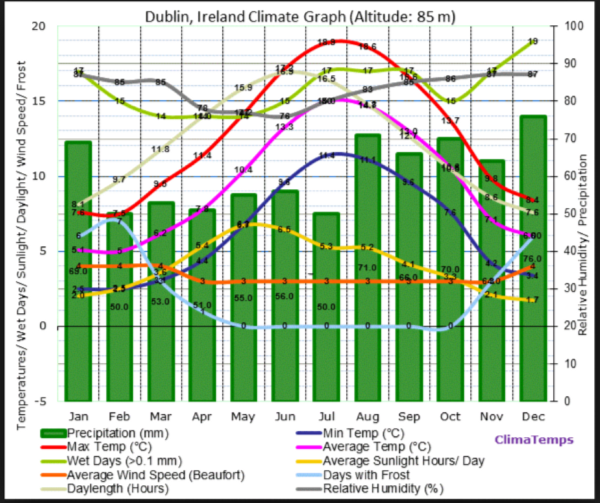 As for weather…it’s not Ireland’s main attraction. 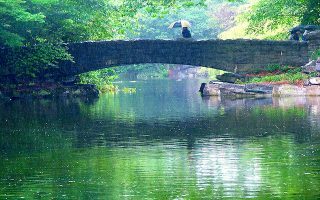 It is often overcast and cool, with lots of rain and frequent storms in the winter. The good news: snow is rare, the sky makes for great atmospherics, you’ll learn about how to run into a headwind, and appreciate the sun! Bring your wet and windy weather running gear. Summers are cool to mild and changeable, with long days due to its northern latitude. 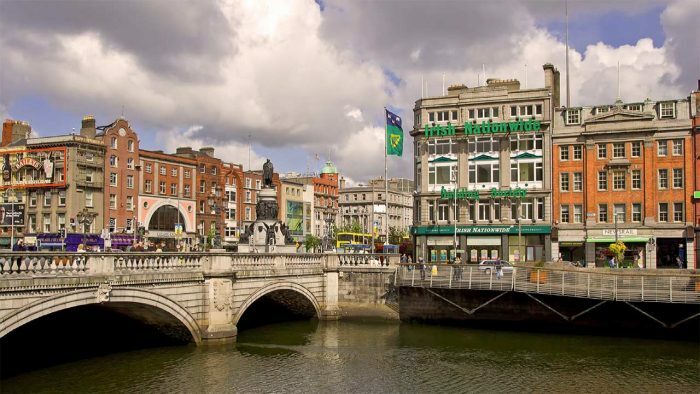 As Dublin is a heavily visited city, there are many hotels that are centrally located. There’s a large cluster of hotels and inns, at various price points, right around the city center, on both the north and south sides of the river, with Temple Bar as a point of reference. If you stay in one of these hotels, you’ll be close enough to the river and some of the main roads for running, as well as ~2 miles from Phoenix Park. Other options are to stay closer to Phoenix Park, which offers the best of both worlds: good running location and near popular spots. Further east toward the Docklands provides easier access for running toward Clontarf, St. Anne’s Park, and Howth. Ireland has a vibrant running scene. Within Dublin, there are several running specialty stores. See out overview map. RunLogic. Temple Bar. GR daily at 7am. Dublin Marathon. October. One of the world’s more notable marathons. Great Ireland Run. April. Weekend full of running events, including signature 10K that attracts runners from all over the world. In Phoenix Park. Roheny 5-miler. Dublin’s premier 5k race. Flora Womens Mini Marathon. June. The biggest running event for women in the world, with over 40,000 women joining in each year. 10k,women only.